For this week's ep of my podcast Apt. 5B I'm chopping it up with my peoples Tasha, JR & DJ Wreck 1 about what are some of the DOPEST albums/mixtapes that have dropped so far in 2017! 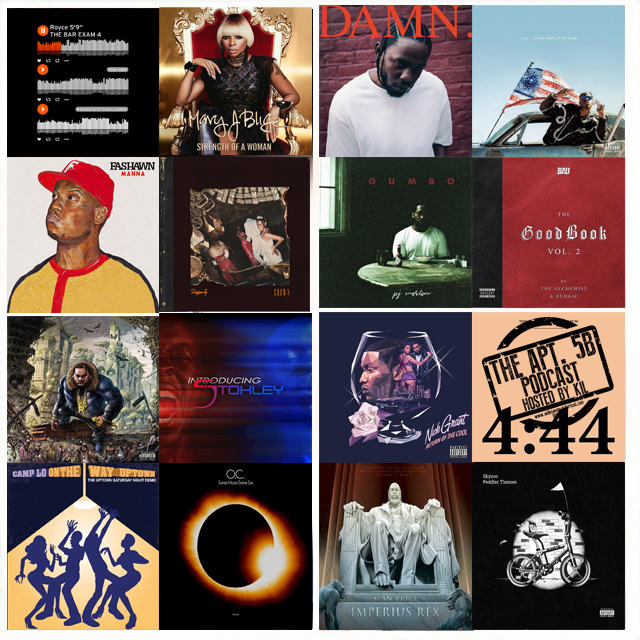 But if you know me then ya'll know I had to do it different then everybody so we're looking at it from the aspect of what are out top 3 that had the dopest beats, the dopest lyrics and then the best all around albums/mixtapes of 2017! And along the way we end up chopping it up about letting artists grow and not keeping them in a box and we try to convince Wreck not to be SO damn hard on hip hop! ANOTHER dope episode ya'll and don't forget to subscribe to our You Tube Channel!